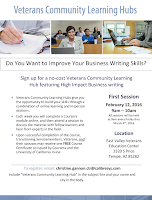 Do You Want to Improve Your Business Writing Skills? 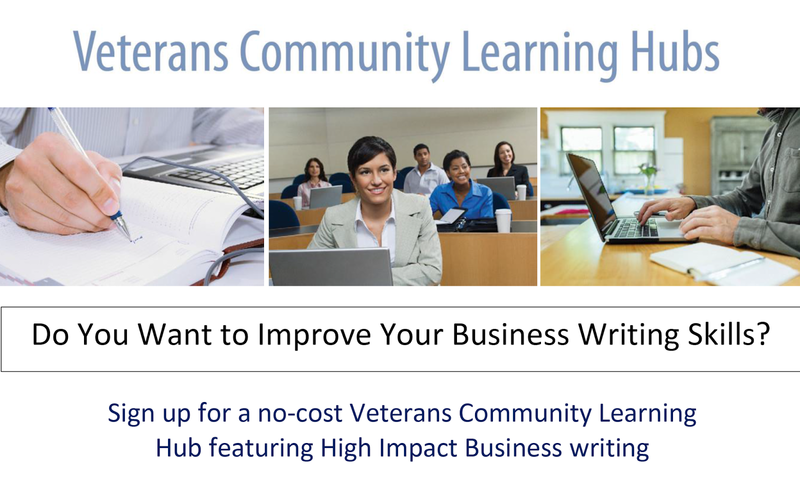 Sign up for a no-cost Veterans Community Learning Hub featuring high-impact business writing at the East Valley Veterans Education Center (EVVEC). Participants will be required to complete a course module online every week, and then attend an in-person session at the EVVEC to discuss the material with other students-- and to hear from experts in the field. Transitioning service-members, veterans, and their spouses will receive a course certificate co-issued by Coursera and the University of California Irvine upon successful completion of the course. 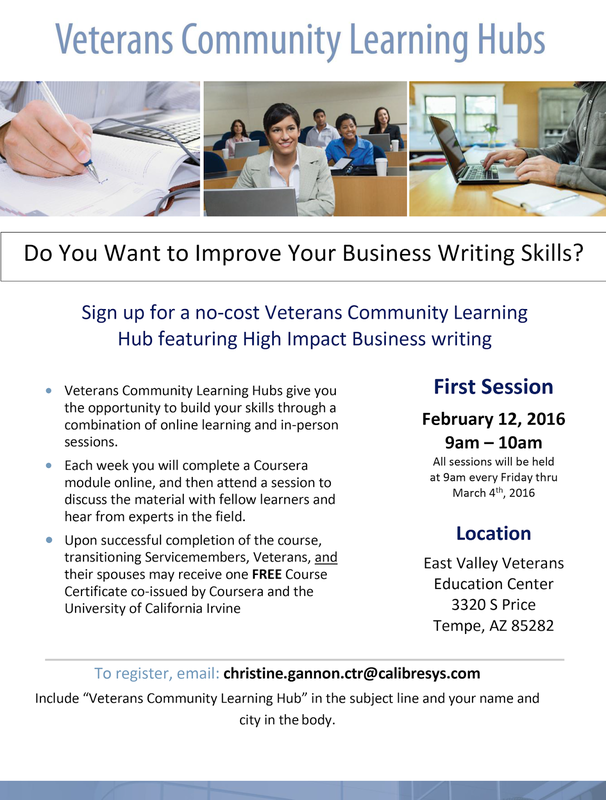 To register, email: christine.gannon.ctr@calibresys.com. Please include “Veterans Community Learning Hub” in the subject line and your name and city in the body. All in-person sessions will be held at 9 a.m. every Friday, through March 4, 201.